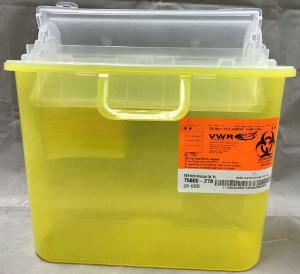 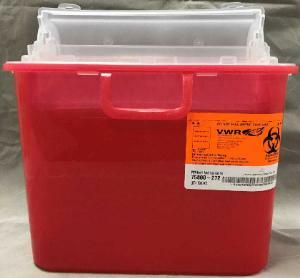 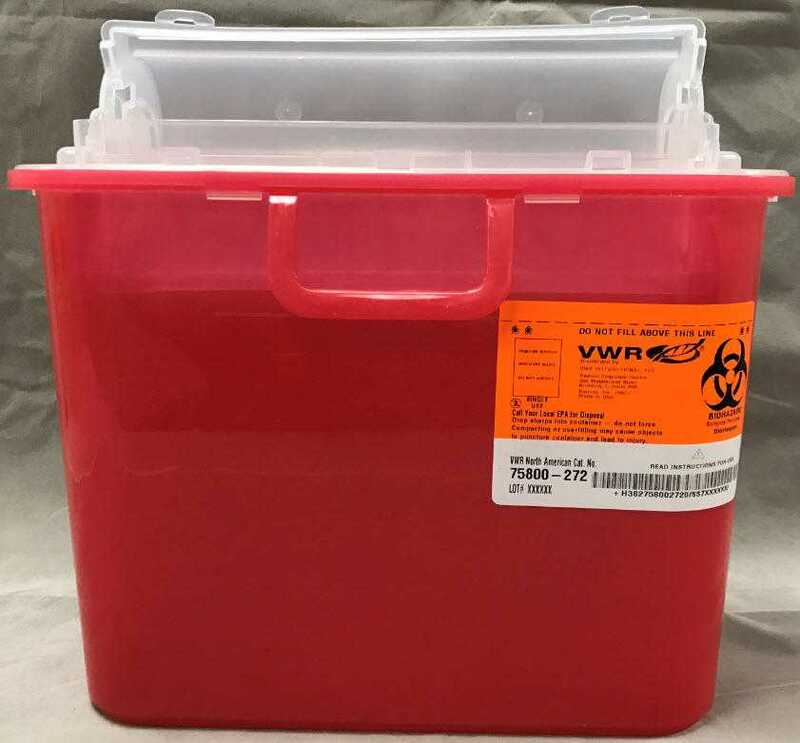 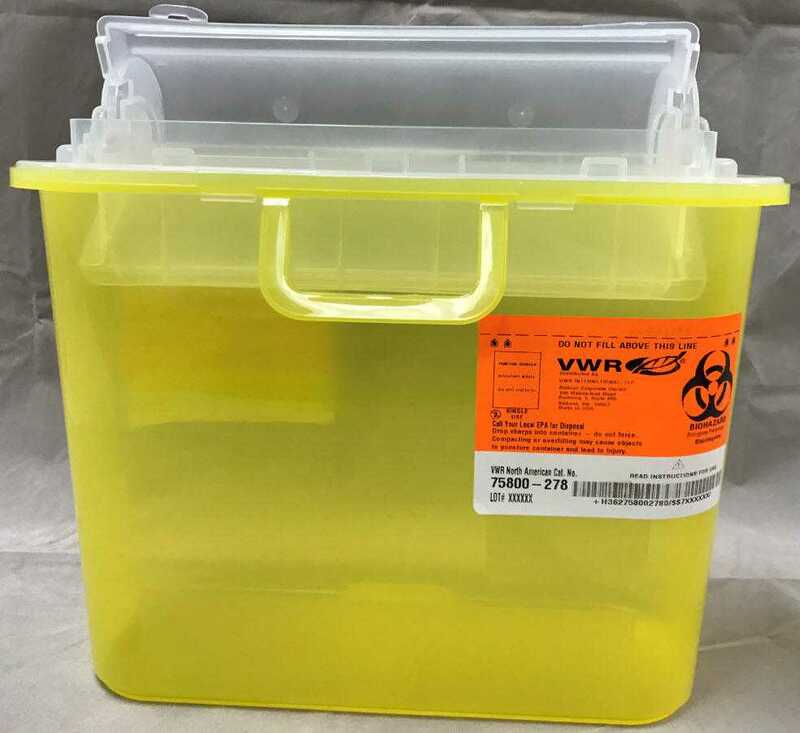 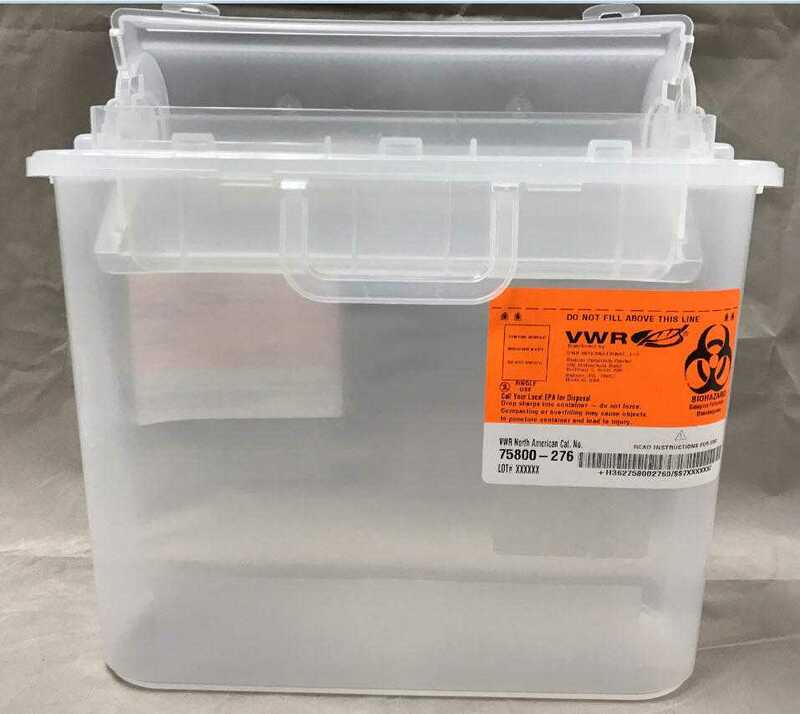 Sharps container systems provide solutions for the safe and effective containment and disposal of contaminated needles, syringes, and other sharps. 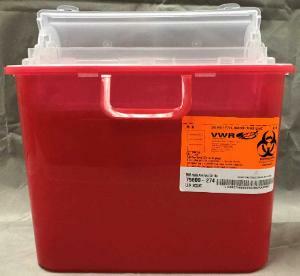 The stackable containers measure 5²⁄₅ qt. 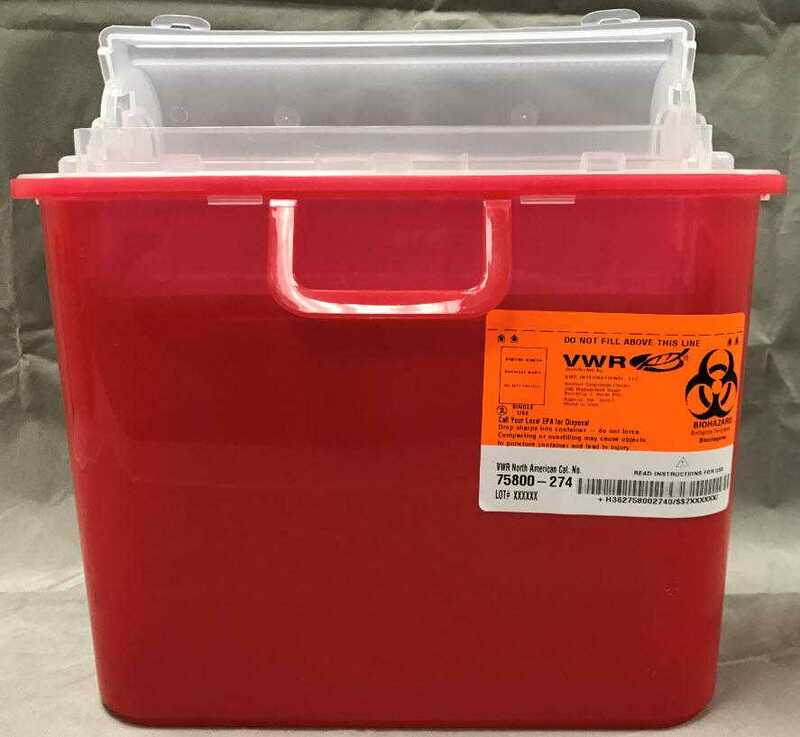 Available in an assortment of colors, the autoclavable containers feature Biohazard labeling, a Biohazard symbol, and a counterbalanced door.